Rock 'N' Roll, Comic Books and Murder! 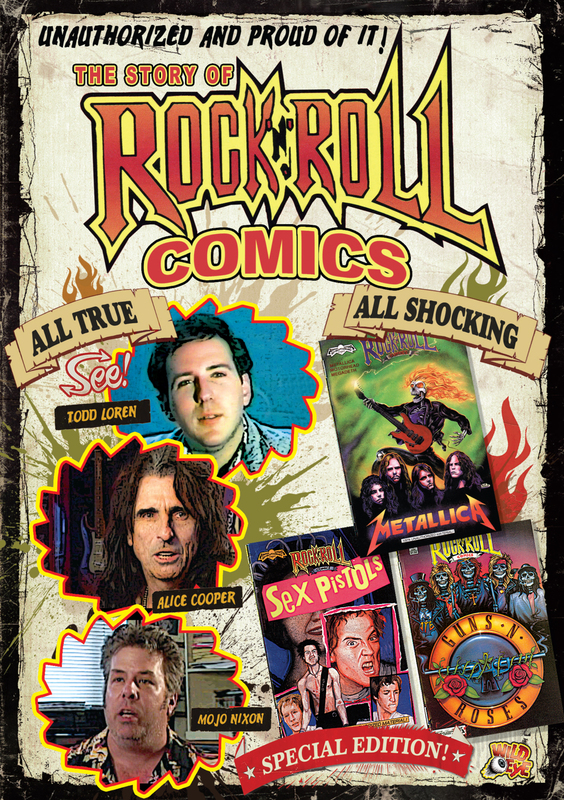 The Story of Rock 'N' Roll Comics charts the short and controversial life of publisher Todd Loren, whose scandalous series of unauthorized comic book biographies of rock stars enraged and sometimes charmed his subjects, provoked numerous lawsuit threats from the likes of Bon Jovi, Guns N Roses and Skid Row, and eventually led to a landmark First Amendment case, all before he was savagely murdered in 1992. This documentary mixes animation and eerie home video of Todd Loren along with interviews and commentary that reflect the range of opinions regarding his cultural legacy - Including first hand accounts from many of the artists and writers who were inspired and exploited by Loren, all peppered with insights from both the Rock N Roll and comic book communities from such luminaries as Alice Cooper, Gary Groth, Ian Shirley, Mojo Nixon and more. Appeals to both Rock music fans and comic book fans. Historical value; First Amendment Rights and freedom of speech/ press issues addressed. A quirky, creepy peek into the shared subculture of comics and rock. Rock’n’Roll, First Amendment, comic books, and a murder mystery–how can this be boring? THE STORY OF ROCK ‘N’ ROLL COMICS is not one to be missed! The Story Of Rock ‘n’ Roll Comics successfully explores the behind-the-scenes account of this niche business and becomes a more fascinating topic than any of the storylines of their rock and roll inspiration. The Story of Rock 'N' Roll Comics is an engaging expose about a man, whose love of music and comic books left a cultural impact. Todd Loren conducted business at maximum volume.